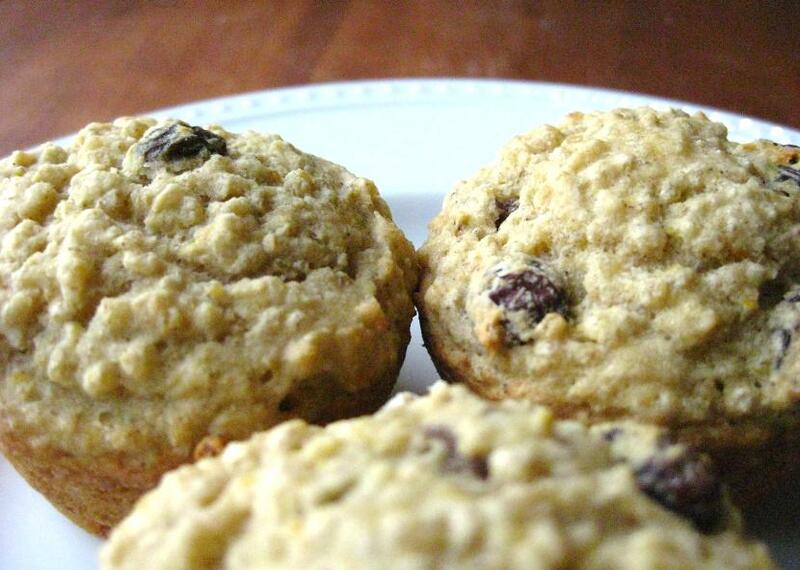 I have a muffin recipe for you today. I made these hearty gems in their original, wheat-filled state about 5 years ago from a recipe I found at Martha Stewart. 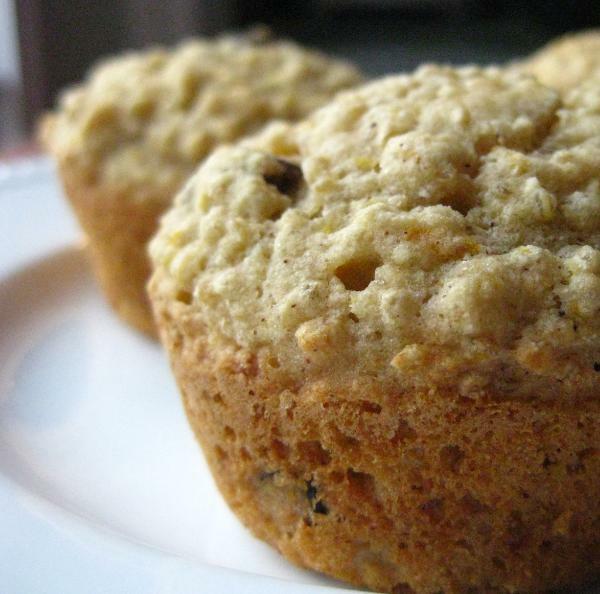 I was pretty new to the quinoa seed and found the flavor of the muffins distinct and nutty, though slightly intense. With time, the flavor grew on me. Plus, it had raisins in it! I LOVED raisins! (Still enjoy them now.) I never made them again, though every now and then would ponder the idea. 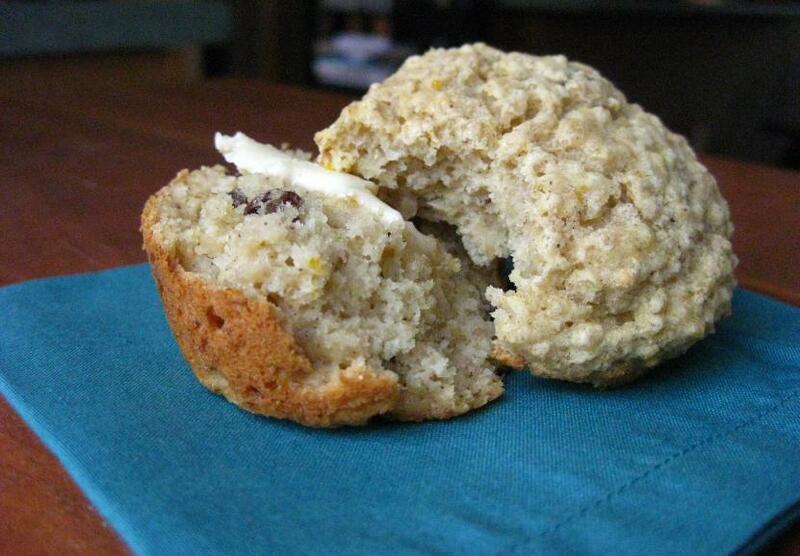 So, the recipe sat in my gmail account under the label “Breads, Muffins, and Scones”. Not gluten free? Just substitute 2 cups of your flour of choice. I hope you like them! Preheat oven to 350 degrees. In a medium saucepan, bring quinoa and 2 cups water to a boil while covered. Reduce to a simmer and cook for 12-15 minutes, until liquid is absorbed. Meanwhile, oil standard 12-cup muffin pan with oil. Whisk together flours, xanthan gum, baking powder, salt, raisins, and orange zest. Whisk in 2 cups of the cooked quinoa. Add milk, unsweetened applesauce, honey, egg, and vanilla and stir until just combined. Divide batter between the prepared muffins cups. Bake until toothpick inserted in center comes out clean and tops are slightly browned, about 30-35 minutes. Transfer to wire rack to cool. Enjoy warm by themselves or with some butter or honey for a little treat. *May substitute 2 cups all-purpose, whole wheat, or white whole wheat flour for gluten free flours if desired. If so, omit xanthan gum.